Our annual trips to the Continent to start filling family Christmas stockings are proving very popular as we find time to squeeze in some interesting railway elements into our escorted Christmas tours. This year we venture to the majestic city of Vienna and Bavaria's second largest city Nuremberg. Both destinations pull out all the stops and hang up the trimmings in the run-up to Christmas, transforming their public areas into magical places lined with festive stalls selling gifts and smelling of delicious food and drink. Both 8-day escorted rail tours follow the same outbound route from London with an overnight stay in Aachen and return via Königswinter, which nestles between the Rhine and the Siebengebirge range (Seven Mountains). It is a popular summer tourist resort and our hotel for the night stands proudly on the river bank. 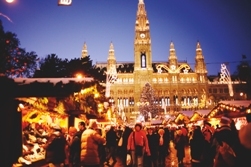 As well as exploring the 20 Christmas markets on the Vienna Christmas Market tour there are also some optional excursions included. The tour leader will be taking a trip to the Mariazellerbahn, a narrow gauge railway which runs for 84 kilometres to Mariazell. Budapest's West Station (Keleti) is only three hours from Vienna by the RailJet service so we will have the chance to enjoy its Christmas Market too that boasts over 100 stalls and can be found in Vörösmarty square. 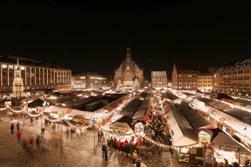 The Nuremberg Christmas Tour offers lots of choice. Optional excursions include a day in the 15th Century medieval city of Rothenburg ob der Tauber, situated on a rocky outcrop above the river Tauber. We journey on the Oberweißbacher Bergbahn and Schwarzatalbahn, a mountain railway with a difference. Its combined lines incorporate a broad gauge funicular and a standard gauge line and we expect some wonderful scenic snow views. An optional visit to the Neuenmarkt-Wirsberg Railway Museum will provide an insight into the German steam era. The price of both tours, Vienna from £1,160pp and Nuremberg from £1,190pp, include a city transport card and InterRail pass to give you the opportunity to independently explore the local area and beyond. We must emphasise that these are guide prices only and subject to change as the exchange rate will not be set until 1st May 2014. We can accept bookings on the understanding that the deposit is fully refundable should you not wish to go ahead after seeing the final price. It is never too early to start planning for Christmas. This year why not make it more enjoyable by adding a Continental flavour to proceedings by visiting some interesting European destinations and add travel, culture and history to your festive shopping list. 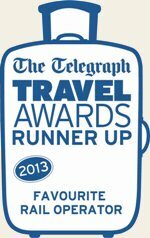 Full itineraries for both Christmas tours are on our website www.ffestiniogtravel.com or contact us direct if you want to chat through any element of the tours, call 01766 772030 or email dan.may@ffestiniogtravel.co.uk to discuss options.